At Fawson Dentistry, we use only the latest technology that has been proven to be safe and effective for you and your family. We use digital x-rays instead of film-based x-rays. Our intra-oral cameras allow the patient to see exactly what the dentist sees, for greater patient education and transparency. Ultrasonic scalers use vibrations to help remove buildup on teeth, and is great for those hard-to-reach areas. Our patients' health and comfort are our top priority. Our experienced dentists and dental staff are committed to providing the best dental care in a caring comfortable environment. We pride ourselves on our experience, ongoing education, and drive to provide the most advanced and proven dental technologies and procedures. Had my routine 4 month cleaning. Crystal was running behind schedule and the staff members kept me updated. When it was my time to go back, Crystal didn't cut any corners and gave me the time that was needed to receive a complete cleaning. She takes the time to review my chart prior to the appointment, so she knows where my problem areas are and also is aware of any oral sensitivities and adjusts her cleaning procedures accordingly. I look forward to each and very visit with her. She makes visiting the dental office a lot less stressful. Thank you Crystal. Dr Nielsen performed an extraction and repaired old work. This is the first time in my life I wasn’t in pain after the anesthesia wore off. I enjoyed my visit and meeting Dr. Nielsen. Although there are a couple new faces in the office since my last visit, my examination and cleaning were done in the same comfortable and profession manner as always. I visited Dr. Truman Nielsen for a temporary crown placement. He was efficient, professional and friendly. The work he completed was timely and a complete success. His staff is very competent and knowledgeable. I would not hesitate to recommend this office. This was a great appointment. My husband and I have gone to this dentist for a little over a year since moving here, experiencing excellent gentle care from Dr. Fawson & then an equally good experience with Dr. Truman. This appointment was no charge which was very nice. I needed my night guard checked, it was older & didn't fit well. Instead of trying to sell me a new one Dr. Truman fixed up the old one so it fit better & didn't charge me a dime. Who does that anymore? Thanks Doc for the tuneup on the night guard & saving my wallet. I appreciate your honest & professional care more than you can imagine. Highly recommend this dentist. A loose implant was discovered during a cleaning. Dr. Neilson and staff got me in quickly for an emergency appointment. I met Dr. Neilson today at my appointment for my cleaning and check. He is very personable and thorough. Very impressed with the staff and my cleaning and their knowledge. Fabulous staff and hygienists! I actually look forward to getting my teeth cleaned! They take great care making sure my teeth get cleaned well without causing pain with my sensitive teeth. I met Dr. Neilsen and he was very nice, professional, and thorough. He also explained some of the science behind oral care and orthodontics, which was interesting and unexpected. I appreciate learning the "why" behind what I'm doing! Just recently changed to Fawson dentistry for the entire family. The staff and Dr.Neilsen are wonderful professional and caring. All wanted to make our dental experience great. And did! I have never been a fan of the gum line probing or X-rays the hygienists were very kind and gentle. Dr. Neilsen exam was thorough and took the time to explain the exam. The office staff also went above and beyond answering all of my questions about insurance fees ad services and really work with you in scheduling appointments. It seems that at each visit to Dr. Fawson's office there is new staff. This has been a constant when I visit. So when I arrived at my visit on Friday 8/4 I was not surprised to be taken back by a new hygienist. What did surprise me was that Dr. Fawson is no longer there. I was not informed when I was taken back for my examination and I did not receive any notification. My husband was in the week prior, saw Dr. Fawson and was never told he was leaving. This is disappointing. When Dr. Fawson came to the office we received a letter in the mail as well as when we entered the office there was a letter introducing him to his new patients. With that being said this was by far one of the best visits I have had in several years. Alex was extremely friendly and she was very gentle. Dr. Nielson seems very nice and I am looking forward to continuing my care there. Best experience you could have at the dentist. Trustworthy, gentle & the only reason I have a great smile. Great, efficient, personable, professional - awesomeness!! Was glad I got re-scheduled in order to have Elissa (sic?) for her final day there :( :(. Found an office that advertises emergency care and was actually open and providing it. Everyone I dealt with was great. They spent the time needed for a thorough exam and explanation of the result. I would certainly go back to this office. Very pleasant visit today. Dentist and nurse very polite and carrying about all my "hang-ups"as were the office staff. Everyone at the office is great! It was good to catch up with Dr. Fawson and to learn how his children are doing. Elissa is always so cheerful and positive. We could talk through my appointment! When the hygienist was sick on the day my cleaning was scheduled, the Dr. adjusted his schedule enough that he could do the cleaning for me so I didn't have to reschedule. As always Dr. Fawson's office has always worked with me and I will continue to return! I found the staff very courteous, friendly and informative . . . All staff and Dr. Fawson werre professional and all questions were answered; every effort was made to make me as comfortable as possible under what could have been a "not comfortable" experience. I would not hesitate to recommend Fawson Dentistry to anyone. Dr. Fawson and his staff are wonderful. I don't dislike going to the Dentist anymore! I have had cavities fixed and crowns put on and cleanings and have never had a problem. Dr. Fawson often calls in the evening to see how I am doing! The dentist is never something I look forward to but Fawson Dentistry makes it very pleasant. 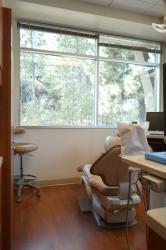 Dental care at Fawson Dentistry exceeded my expectations. The greatest care was taken to ensure that I was comfortable and that the procedure was pain-free. The staff was very pleasant. The resulting composite filling blends in perfectly with the surrounding tooth. I would definitely recommend this practice to others. I had a crown come off on Thursday. Dr. Fawson took me right in on Friday and took care of it. He is great. Dr Fawson and his team are always courteous and knowledgeable. Going to the dentist doesn't have to be a pain and Dr Fawson and his team strive to make your visit comfortable and personable. I highly recommend Dr Fawson dentistry to anyone looking for a dentist office in Spokane! Caring and friendly. Provides great professional care and concern for clients. I will certainly say it only continues to improve at your office. Nearly each appointment something sticks out as improved or changed that is just a nice touch. Always make going to the dentist a pleasant experience. Great staff, always friendly and efficient. Dr Fawson's calming personality and professionality permeates the whole staff. They make a dental appointment something to look forward to! Always kind and welcoming staff. Excellent services and they have been great with my children. I'm so happy to have found them. Great place and caring staff! A totally awesome experience. No pain during or after the tooth extraction last week and today's cleaning! The staff is extremely professional and empathetic to their patients. For all of Dr. Fawson's humility, he truly is professional and understanding of my needs. It was a very good experience. My teeth were cleaned very professionally by a wonderful person. I had a wondeful time in the chair this morning. My checkup was as I expected as far as my teeth are concerned; all good. My visit today was extra special seeing an old friend who now works there. She followed me from my previous dentist, although i'm sure it wasn't intentional? And I got acquainted with the dental hygienist who is new since my last checkup, but fits right in to the friendly and professional environment. Thanks for starting my day off in such a positive way. First of all, they got me in quickly, the staff is excellent, their return phone call was on time, once there, reception answered most of my questions before I asked, I was seen quickly, the Dentist is caring and gentle, I was presented with options that were cost saving and they were presented in a professional, yet very friendly way. I found the Dr & Staff to be warm and caring, I look forward to getting the work I need completed with this team! If you are tired of waiting for weeks or months to get an appointment with your dentist then you need to call Dr. Fawson for and appoint. When I called I was pleasantly surprised at how quick I was able to get an appointment and how quick they where able to schedule my follow up work. I was impressed with the friendly staff and the thorough exam. As good as a visit to the dentist can get. Thanks Dr. and staff. As always, friendly and professional. Very Kind, reasonably priced, excellent work. I had extensive restoration work done - the results were terrific. I experienced no discomfort before/during/after procedures. I have received many compliment. Dr. Fawson takes the time to explain the procedure and is a good listener as well. Chrystal has a great demeanor and gentle touch. She put me at ease and worked quickly even though I wanted to tell her my whole life's story, personable and professional. I was ushered in promptly by the Hygienist who cleaned my teeth and then saw Dr. Fawson, who checked my out and made recommendations. Amazing staff, stayed after hours to help me with a dental emergencies. Fun, friendly, light hearted staff. Great service and communication throughout the whole visit. Highly recommend! I was hesitant to go to a dentist,it's been many,many years since I was even at a dentist. When I walked in the door for the first time I was greeted by the receptionist, sorry,not good with names :),and by Dr.Fawson. They made me feel comfortable, made an initial appointment, went to my appointment and had very good care while there and Dr.Fawsom did an amazing job on explaining everything to me. I'm very impressed and feel very comfortable :). professional and complete in work done. I had a great appointment with caring Dentist and Staff. Always have a great experience when I have an appointment. They are very professional as well as friendly. The doctor and staff took care of me as they always have. They provide constant feedback and check on my comfort level regularly. At Fawson Dentistry I had the best dental care of my life. They cleaned, polished, and x-rayed all quicker than I'd planned for and informed me of my best care options. I was almost happy to hear I had 4 cavities. I appreciate the work Diana and Dr. Fawson were able to provide. I'll for sure be back and tell all my friend THIS is the place to get your dental work done! Staff and doctor were kind in their behavior toward me, helpful in explaining care and treatment, understanding of my financies, and they did not pressure me. The treatment I received was professional, expert, and detailed. Dr. Fawson and his staff took the time to really make my teeth look great! Dr Fawson does very well at minimizing the stress of complex dental care. He is gentle and quick and makes personal follow-up calls after hours. © TruDental. All rights reserved.